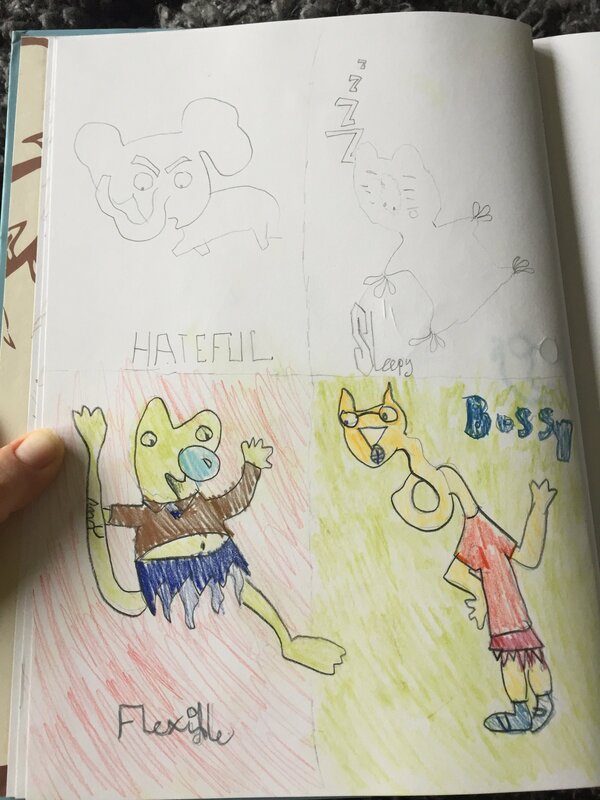 A Twitter user’s childhood drawing has taken Twitter by storm, and frankly it’s really not hard to see why. The oddly-spellbinding illustration was created by Dorothy, a 19-year-old from New York who goes by the name Tali online and found the picture in an old sketchbook – having been drawn when she was about 10 years old. The image sees a pink monkey, who Dorothy confesses is “questionable-looking”, in various positions and playing a brass instrument – accompanied by the phrases “Did man evolve from ape or, did ape evolve from man?” and “Feel the Love”, the latter written in block letters filled with music notes. “Truly poignant stuff,” Dorothy told the Press Association. nothing i create can compare to the RAW energy from this piece… every time I glance at the page there's more to unpack… a real masterpiece. So, to the burning question, how does Dorothy explain her masterpiece? “I’m still not really sure what it means,” said Dorothy. “My best guess is that we were learning the basics of evolution in school and this was just a thought that occurred to me. “I was really into surrealism back then (probably my parents’ fault, they’re both artists) so I guess I just thought it would be funny to see an ape playing a saxophone. “A lot of people have made guesses as to what inspired it – TV shows, movies, etc – but I think it’s just an image from the mind of a very weird kid. “My favourite responses are the ones where people talk about how important it is to encourage creativity in children,” added Dorothy. Such has been the warm response to the illustration that many even asked Dorothy to make it into a t-shirt – and she has duly delivered. And in case you thought that was the only fun piece in Dorothy’s sketchbook, think again. On this piece she shared with the Press Association she reflects: “I really was trying my hardest to figure out what animals looked like back then. Dorothy said she still draws for fun but that her main interests are writing and cosplaying. “I’m also still very much into philosophy (mainly existentialism),” she added. Fancy jetting off to Europe's largest Après Ski Party?